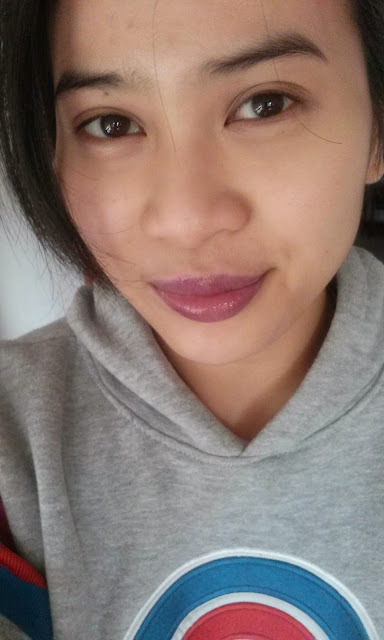 Maybelline came out with a fall line, I believe, a couple months ago and of course the purple lip gloss caught my attention. 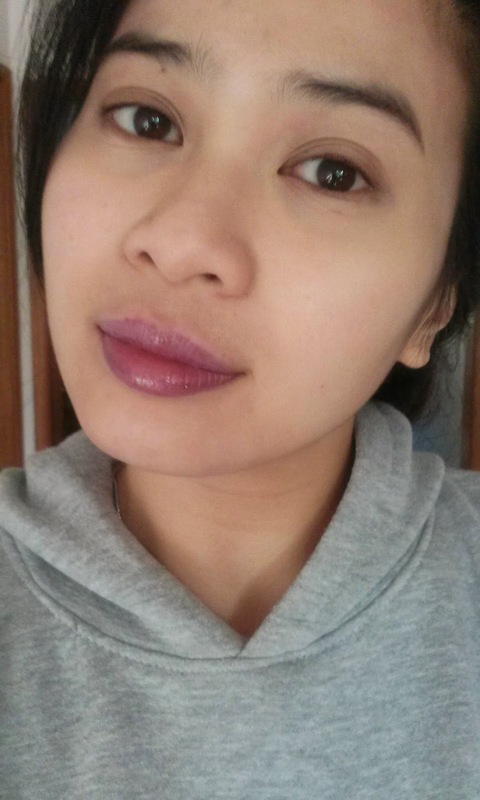 I initially wanted it because it was purple, but also thought it would go with the MAC Sweet Succulence lipstick. 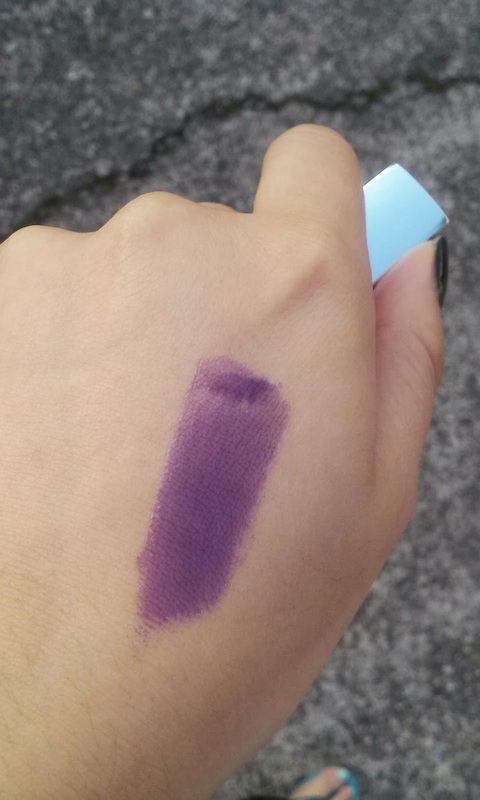 In the tube, the gloss looks like an intense purple color, and I wasn't sure a first how pigmented or sheer it would be since I haven't tried any lip glosses from this line. 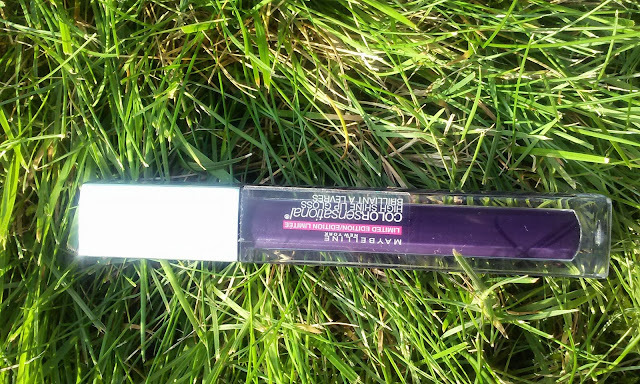 It has a slight smell to it that was a little sweet, but also the 'typical lip gloss smell' but nothing bad. It also has a typical doe foot sponge tip applicator which I do like. This gloss swatched very well and had a lot of pigmentation. 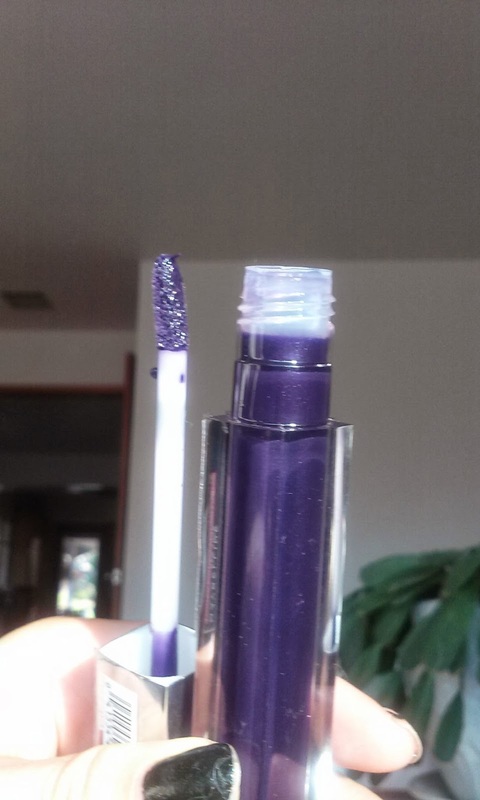 It wasn't as bright purple as it seems in the tube but there was more of a berry undertone. Both swatches are outdoors. 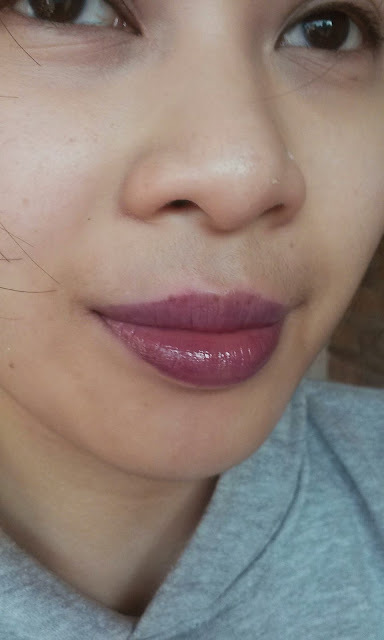 When swatched on my lips, the color was still very pigmented for a gloss and trasnlated into a nice purple berry color that is great on its own, or over a lipstick (like the MAC Sweet Succulence) to add more dimension and color. I am overall very pleased with this product. 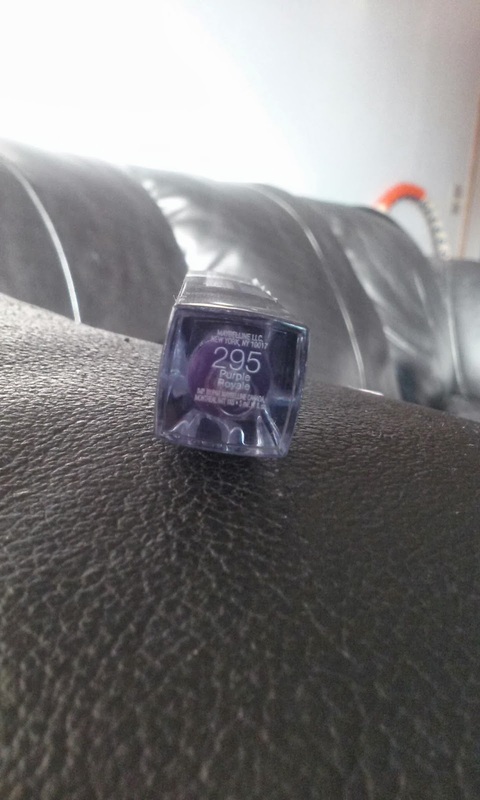 It glids one smooth and has good pigmentation to it. It isn't overly sticky and can work by itself or over a lipstick. 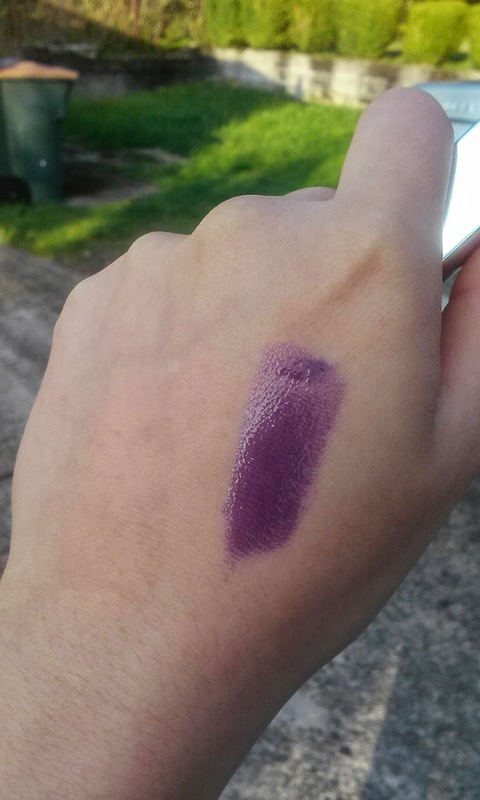 However, it isn't a product you can just throw in your bag or a grab and go since it is very pigmented. You will need a mirror to apply it since it can get a bit messy if just thrown on without consideration and it can also have uneven application if your lips are dry or chapped as the color will grab on more so to the dry skin. I think this line is still in stores. I found mines at my local grocery store, Fred Meyers, for $5.99. I did have a dollar off coupon though so I only spent $4.99. 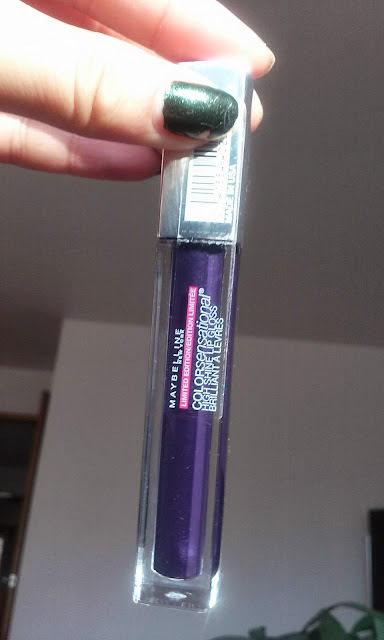 I think this gloss is perfect for fall time especially if you want to achieve that dark vampy lip but don't want to go too bold with a full on lipstick. I would recommend it if you like purples/dark lips in general since it is a good gloss. wow! the color is very nice *_* your blog is very lovely and interesting. im glad if you visit my blog, too <3 keep in touch! these are beautiful, I just haven't been able to find them!! I love the color you picked, perfect for fall :) thank you again for all your lovely comments on our posts! If you are looking for a good contextual ad network, I suggest you take a look at Clicksor.